Dr. Ramon L. Espinel from the Facultad de Ciencias de la Vida, ESPOL-Guayaquil, in Ecuador, started our first plenary session doing a presentation about smallholder agriculture, biodiversity and food security. He explained the aspects involved on the small-scale agricultural production, mostly done by family members aiming to combine different species of vegetables and animals to build a resilient and complete ecosystem. “Conventional agriculture” (name questioned by an audience member, since it is more industrial than actual traditional agricultural methods), creates basically extensive monocultures with intensive technology and inputs, based on the principles of the Green Revolution. 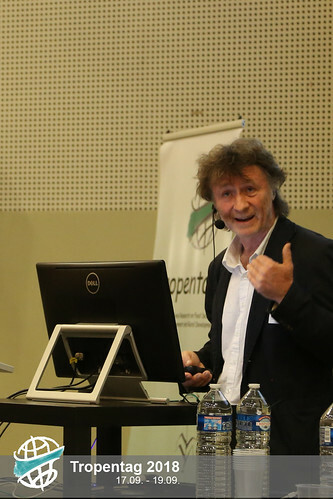 Dr. Espinel stated that the results obtained on his research supports the agroecological approach, which would give an opportunity for thousands of peasants to have a living and offer good quality food for the population around. 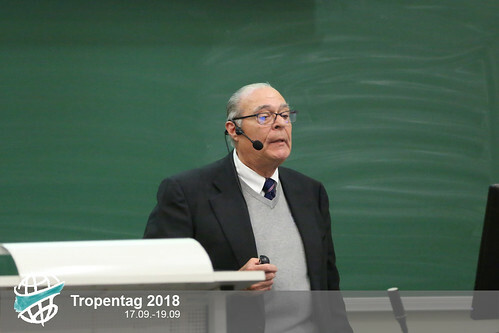 Dr. Bernhard Freyer, from the University of Natural Resources and Life Sciences (BOKU) in Austria, gave us a presentation about the myths involved in the “organic farming” production in Africa. According to Dr. Freyer, substantial improvements are needed in agricultural production in this continent in order to reduce the waste of natural resources and potential. It is true that it might be complex to attend all the requirements to be called an organic production, but it is necessary to be aware of the appropriate technologies to achieve the best results in terms of sustainable production. To conclude, he related a scenario about how the African continent’s agricultural production could be great with its potential, and finishes his speech with the very pertinent phrase “organic matter matters”, which is one of the principles of organic agricultural production. Dr. Namukolo Covic, from Agriculture for Nutrition and Health, based in Ethiopia, talked about how most of the agricultural production doesn´t result on the nutritional and health benefits of the population, including under nutrition and overweight/obesity. According to her, this is due to different aspects, ranging from the power of influential corporations, government policies and cultural habits. For these reasons, it is important to make efforts on the creation of more integrated agricultural program, considering the whole chain of producers and final consumers. 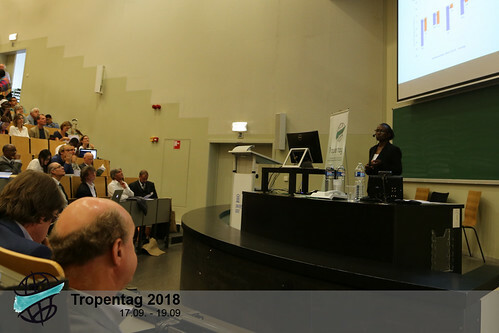 She also remembers how each person has a different responsibility in this challenge, including the opportunities and visibility we have at Tropentag 2018.